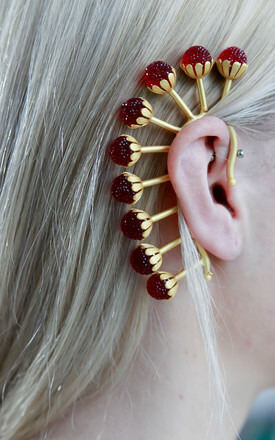 Unique statement earcuff featuring bold red crystal balls, set on gold finished concave disks. 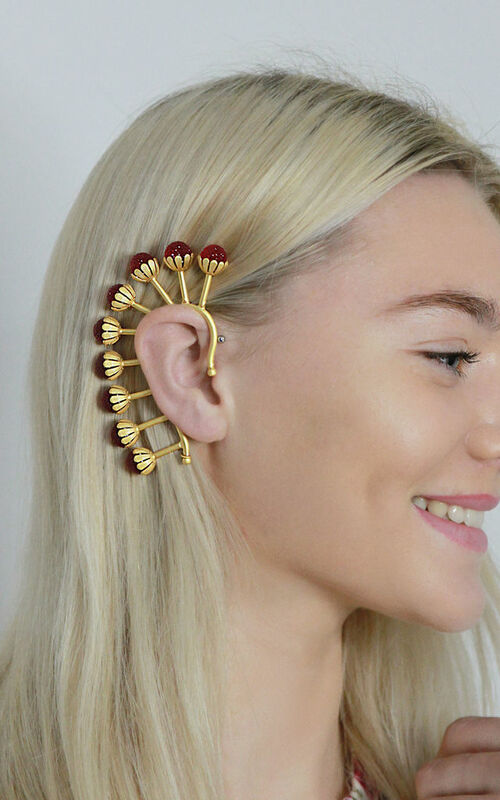 Light weigh earcuff is super easy to slide on to your ear. 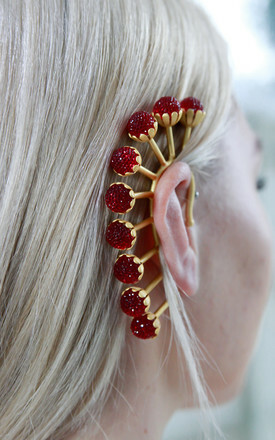 A perfect piece of jewelry for celebrations or to stand out from the crowd.